Well, the 2012 Olympics in London are officially over and wouldn’t you know…no new world order. The Anti-Christ didn’t win gold, silver or bronze…he never even showed up! From the unveiling of the 2012 logo which some felt spelt out “Zion”, to the design of the one-eyed London Olympic mascots, the “rainbow riding” Wenlock and Mandeville (below), the conspiracy theories were running as rampant as competitors in Monty Python’s Silly Olympics. With the no-show new world order at the Olympics I felt it was time to do a brief overview of the misunderstood idea of a New World Order and how the symbols, one in particular, may represent something very real delivered to us through time from an as yet unknown pre-historic people. 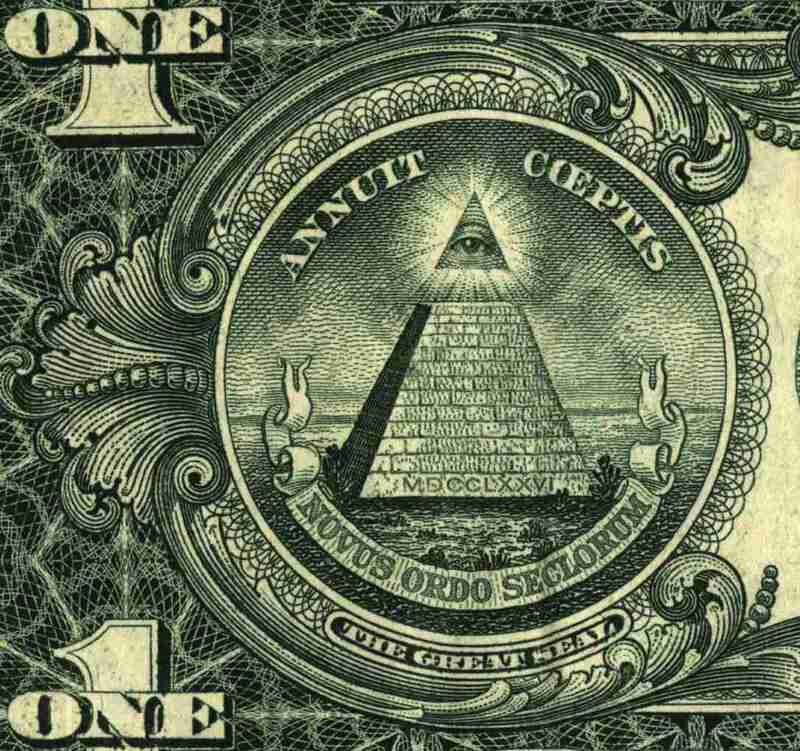 Novus Ordo Seclorum is a Latin Phrase translated as “New Order of the Ages” or for conspiracy theorists, “New World Order”. And it is usually juxtaposed with the Eye of Providence (all seeing eye of God) floating over an unfinished 4-sided pyramid. This combination has been used on the reverse side of the Great Seal of the United States since 1782 but is most famously displayed in the wallet of every American on the back of the $1 bill (below). From my work in marketing I understand the power of symbols and this symbol is way more powerful than the symbols for Nike, Pepsi and The Gap combined. The meaning of this symbol is open for interpretation and there are many. What I feel to be the most thought out interpretation comes from David Wilcock in his book The Source Field Investigations: The Hidden Science and Lost Civilizations Behind the 2012 Prophecies . There’s no doubt in my mind that the symbol is clearly Masonic, used by the men who laid the foundations of the United States of America to relay a message first transmitted by a civilization which pre-dates known history. A civilization which Graham Hancock goes into at great length and detail in his book Fingerprints of the Gods: The Quest For Earth’s Lost Civilization . Personally, I’m not as convinced as David Wilcock that it’s a symbol of a coming worldwide Golden Age as I am that it’s meant to be interpreted as a personal goal or target for our own evolution to “enlightenment”. As David Wilcock eludes to, the open eye at the pyramid’s top is a clear reference to the pineal gland, which I concur is the seat of our connection to what he calls “The Source Field” and what I refer to plainly as God. I will go into much greater detail in my book about this idea, but, the 33 degrees in Masonic hierarchy are a direct relation to the 33 vertebrae which start at the root chakra (Muladhara) and lead up to the pineal gland at the brow chakra (Ajna)…the following and final step leading to Samadhi or a “non-dualistic state of consciousness”. Likewise, I don’t believe that for the fictitious part of the Jesus Christ story it was a coincidence that he “died” at 33…and made his full transformation to The Light of the World. Like the symbol of the all seeing eye, the Jesus story is meant to provoke us to our own Samadhi enlightenment. A target for our journey toward a personal new world order! Doctors only know as much about the human body that can be disected from it on a physical level, but it’s the things that cannot be seen with the eyes or the edge of a scalpel that are critical to our existence here on Earth and our connection to the living Universe. Symbols like we saw at the Olympics are prodding us along, tirelessly trying to wake us up to the supernatural powers we all carry inside of us. I believe we have the power to transform ourselves and in turn to change the world, guided by the symbols we are exposed to, toward what I call The Nous Age. I BELIEVE that the scientific method is flawed. The only thing that I know for sure is that I am conscious. Consciousness is what we have first, everything after that is questionable. Bringing that one known truth into a scientific world view is where the problems begin. This is an excerpt from the DVD Thinking Allowed. You can purchase the full DVD here. Nassim Haramein is a brilliant researcher, thinker and dreamer. Much of my inspiration to dig deeper into the past to find a connection to today’s religious traditions is due to his work. About a year ago he released a film called Black Whole. To boil it down to one phrase this film uncovers scientific proof that we are one. 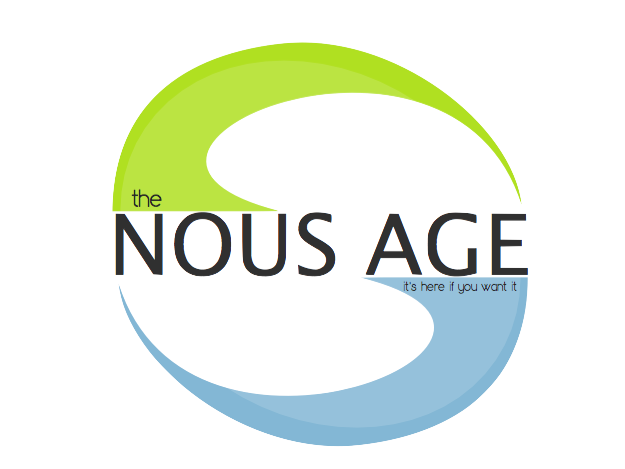 The global acceptance of this idea is the core premise of what I’m calling “The Nous Age”. The entire film is now available to watch online thanks for Vimeo (below for your convenience. If you have never heard Nassim’s astounding research sit back and be prepared to be amazed! If you are a regular reader of my blog you know that the idea of a “doomsday” on December 21, 2012 is NOT my thing. I believe that nothing will happen of the cataclysmic variety. I do believe however that something akin to an awakening is more likely to happen. In the past year we saw evidence that an awakening has already begun…and on a global scale namely the so-called “Arab Spring” and the “Occupy Wall Street” movement. I, for one, am intrigued about what’s on the horizon in 2012. There are a number of prophecies pointing at that date the most famous of which is the Mayan Calendar. Native American‘s have their prophecies, so did Nostradamus and Edgar Casey. However, as I continue my research I feel like I am following a bread trail that has been left for us to discover through the Judeo-Christian tradition and it’s pointing to a similar event, Jesus’ baptism in the river Jordan. The river Jordan is a representation of the river of light that flows across our night sky, that we call The Milky Way…the Son of God represents the Sun as it will stand in the river at sunrise on December 21st, 2012 and through ‘him’ receive some form of enlightenment. The Sun/Son is “the door”…”the way” to Sion, the kindom of heaven. This morning I received an email from William Henry who has just published his new book, The Secret of Sion, and in it he details what I have also discovered. You can watch a short video introduction to his research here. This won’t be the first time around for us, this (whatever this turns out to be) happens every 13,000 years or so as we pass through this particular neighbourhood of space, some sort of wave of charged particles emanating from the centre of the Milky Way will spark us to wake up, the veil lifted from our eyes. It takes the Earth, it’s sister planets and Sun a total of 26,000 years to make it’s journey all the way around our Galaxy. Twice during the trip we pass through this beam of consciousness changing photons, if that’s what it indeed is. Like the oxygen Las Vegas pumps into the casinos, we will start feeling and thinking clearer…will wake up to the futility of our current status and see the war makers and resource hoarders for who they are…and demand a better world, a better way of life…for all human kind. 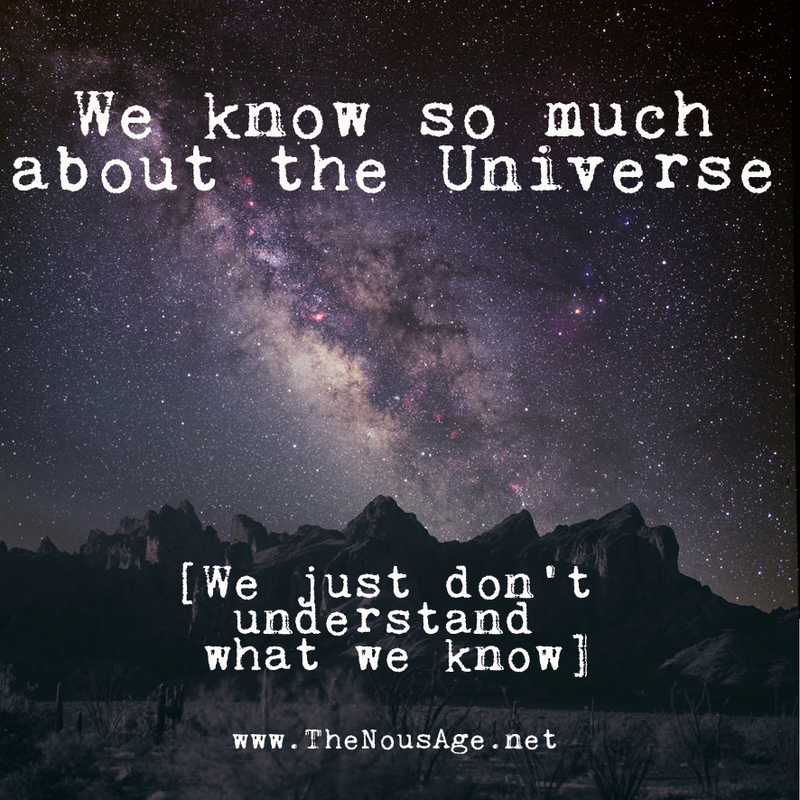 THE CORE BELIEF behind The Nous Age principle is that consciousness is the primary element of the Universe. This short film was produced for the IONS conference this summer in San Francisco which I attended. 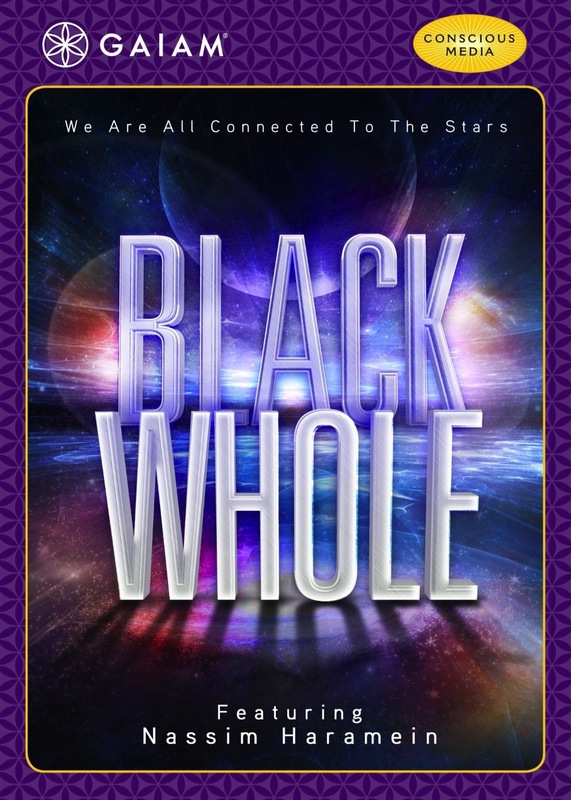 It features: Edgar Mitchell, Deepak Chopra, Marilyn Schlitz, Dean Radin and Cassandra Vieten in an exploration of the Mysteries of Inner Space.